Have a younger sibling at home? Let your parents know about this new flexible option! Our individual courses are a great way to help young students follow a personalized educational path that’s best for them. Along the way, students receive support from a certified elementary teacher for each course. Families can personalize their child’s education based on their unique needs and interests, whether they want to start a course later in the year or supplement a traditional school schedule. Our new interactive elementary curriculum will allow students to explore individual subjects and gain the foundational skills and knowledge needed to succeed. Courses available include Language Arts, Social Studies, Math, Science, and special subjects like Technology, Spanish, Art, and P.E. 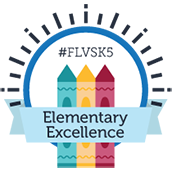 How does this differ from other elementary options at FLVS? With rolling enrollment, elementary students can start and finish one or more individual courses according to their needs, following a customized pace chart created with the course teacher. Students who choose more than one core subject will be supported by the same teacher to enhance their learning needs, with frequent communication and optional live Class Time sessions. 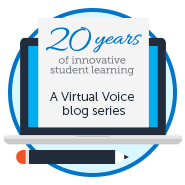 For families interested in a more traditional educational experience following a fixed school year calendar, students may take multiple courses together with a group of classmates and one core teacher through FLVS Full Time or FLVS Flex. These options include weekly Class Time. View our Frequently Asked Questions to learn more about our online elementary options. This entry was posted in Homeschool Edition, Parent Edition and tagged Elementary Homeschool Curriculum, Elementary Virtual School, FLVS Elementary, FLVS Flex Elementary, Free Online Elementary Curriculum, Grades K-5, Kindergarten Online, Online Elementary Classes, Online Elementary Homeschool, Online Elementary School, Online K-5, Virtual Elementary School on June 11, 2018 by The Virtual Voice.